Launching a beta version is a good move! 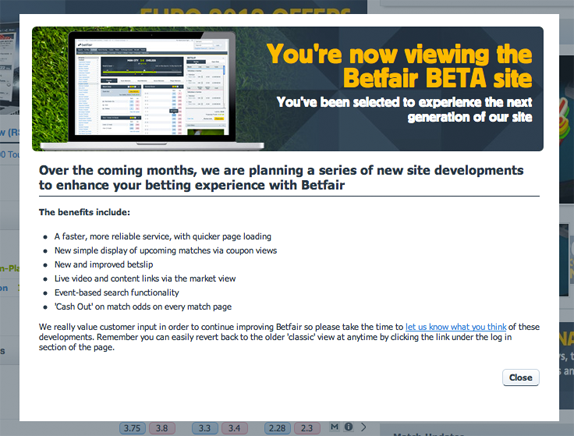 Today when I visited Betfair.com I got a pop up saying “You’ve been selected to experience the next generation of our site”. So I think it is a really good move by Betfair to launch a beta version and at the same time give the customer the chance to go back to the current one, as well as be able to give feedback on the new one. (going back to the current version is a kind of feedback as well). I know that Ladbrokes also launched their site in beta first. Are there any more examples out there?